Small Animal Talk: Vision in companion animals - what do our pets really see? Vision in companion animals - what do our pets really see? I’m often asked what dogs or cats see compared to us, and the truth is I am usually stumped for an answer. Veterinary ophthalmologist Dr Cameron Whittaker gave a talk last week at the Animal Referral Hospital on vision in companion animals which answered my questions, and he's kindly allowed me to use his slides. Visual perception is the process by which we organise or make sense of the sensory impressions caused by the light that strikes our eyes. It is affected by our knowledge, expectations, neurological state and motivation. (Dr Whittaker pointed out there is substantial scholarly literature confirming the impact of “beer goggles” on our perception of attractiveness of others. I can see several very entertaining PhDs in that). 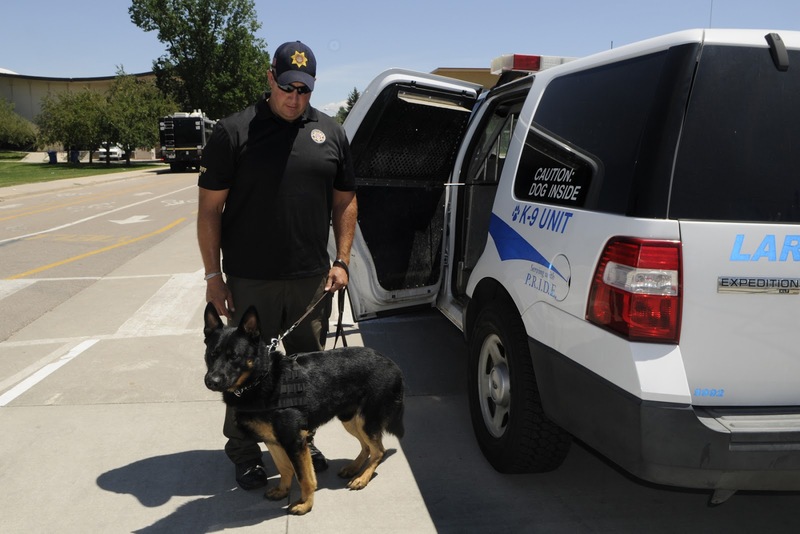 Humans and animals visually discriminate objects via sensitivity to light, sensitivity to motion, field of view, visual acuity and colour vision. Cats can detect light at seven times lower luminosity than humans, i.e. their night vision is much better than ours. Their secret is the tapetum lucidium, a specialised part of the choroid which reflects light a second time so the retina can capture more of it. It is present in most domestic species except for pigs and guinea pigs. 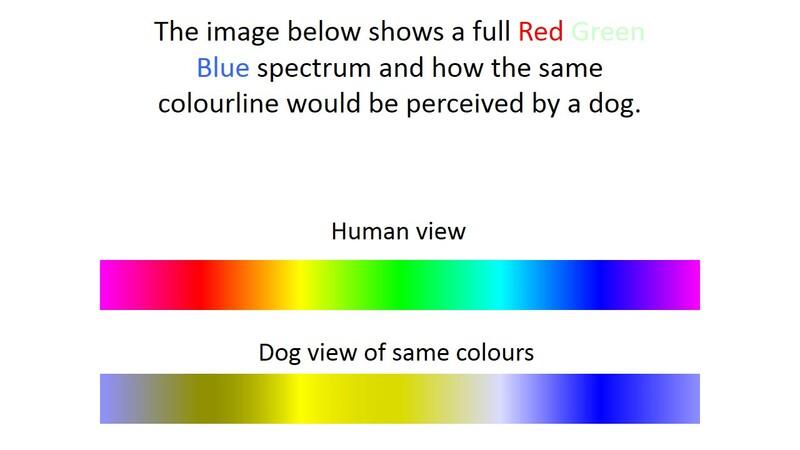 So do dogs and cats see in colour? It’s hard to test, but the consensus is yes. Cone photoreceptors are responsible for colour vision and are present in domestic animals, with the number and type of cones varying between species. We have three types of cones: red, green and blue. Dogs have two: blue and red. They probably confuse red and green and see them as grey. They can probably distinguish a red ball from a green one on the basis of the brightness of the two, but they essentially see colour like a red-green colour blind person. Cats have three cones but may only detect colour differences if these are pretty obvious. Slide courtesy Dr Cameron Whittaker. 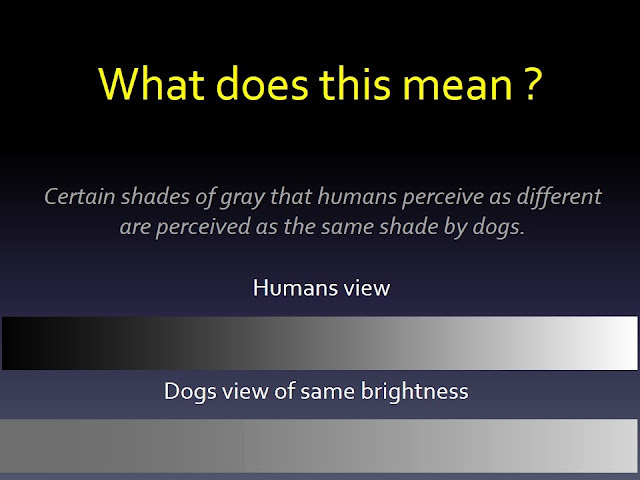 Brightness discrimination in dogs is 2x worse than in humans. 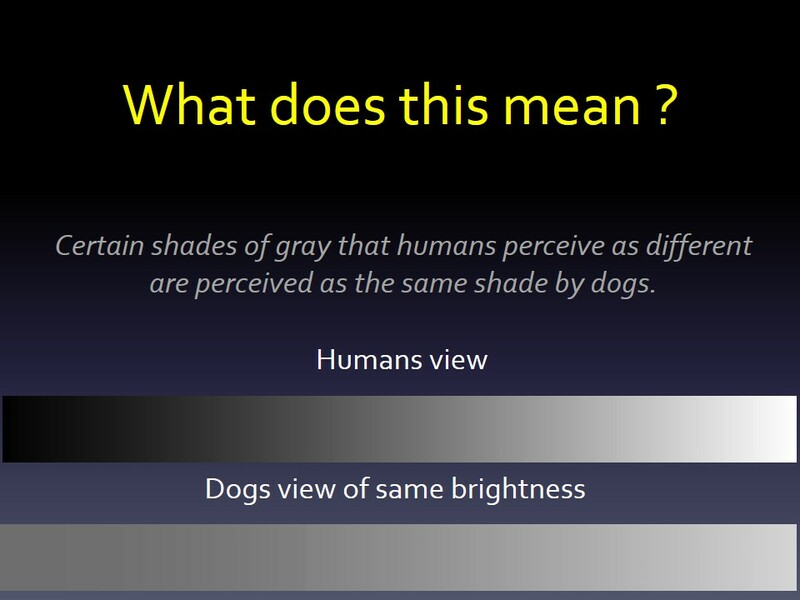 What that means is we can see more shades of grey (this may be why so few dogs appreciate “50 Shades of Grey”)(okay, sorry that was a dad joke). They probably have fewer blind spots.